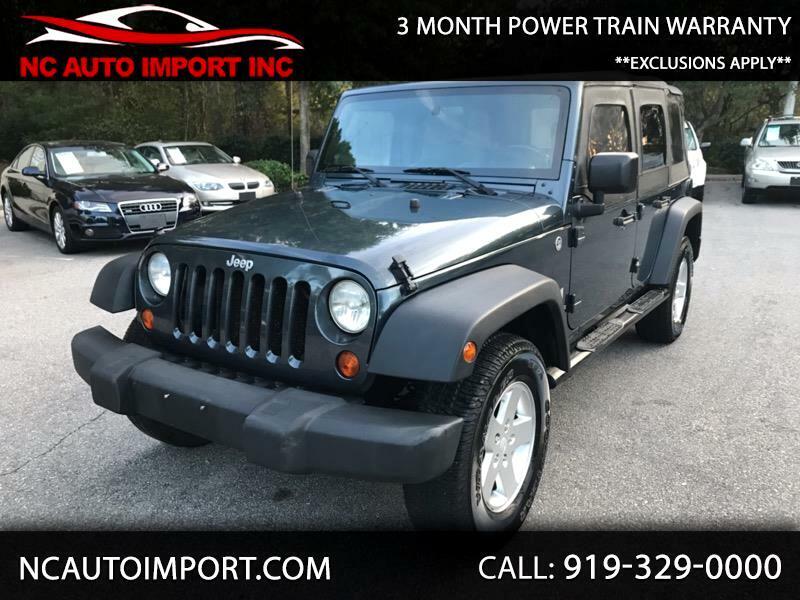 This 2008 Jeep Wrangler Unlimited X 4WD. Its a 6 speed Manual, great car for the roads and off the roads. Smooth ride. All services are up to date. Visit NC AUTO IMPORT at Ncautoimport.com for more pictures of this Vehicle and a free Car Fax Report. Call us at 919-329-0000 today to schedule your test drive. All of our cars are NC State inspection Completed. Due to low pricing and the quality of our inventory, our turnaround time is higher than average, give us a call to confirm for availability. We assist with transport to all 50 states we are here to help with this process. Ask us about our warranty. Apply online for financing at home or from your phone! The link is on our main website.